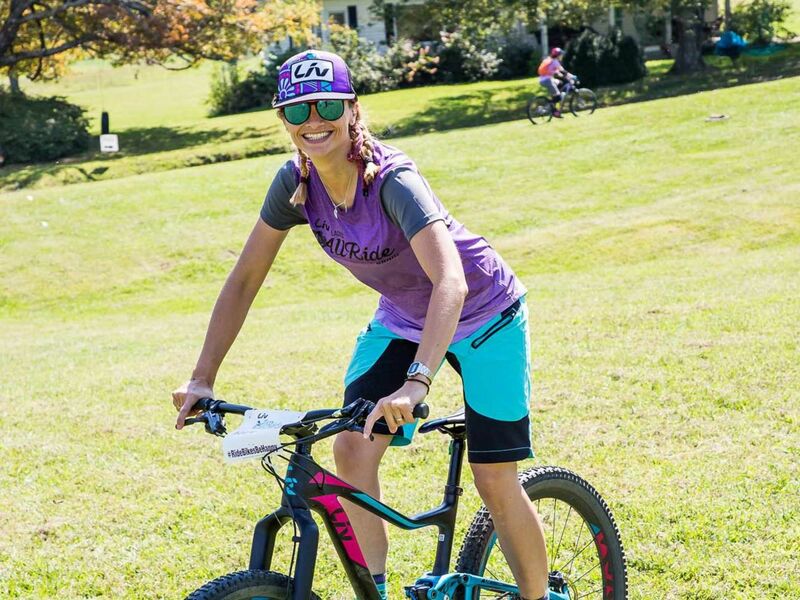 Agnès is the founder of MTByogi.com, a registered yoga teacher, certified MTB coach, and the Events Manager & Head Yogi at Ladies AllRide Mountain Bike Skills Camps. 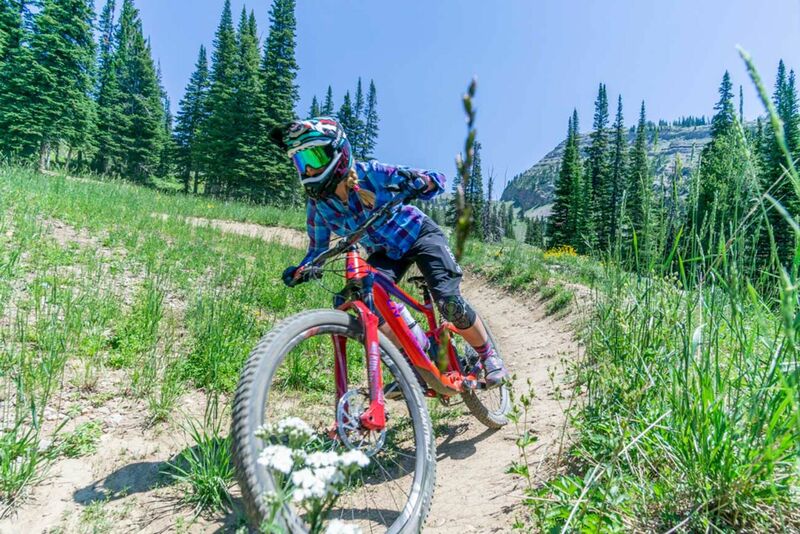 Agnès loves to travel to mountain bike all over the world (and taste all sorts of foods too!). 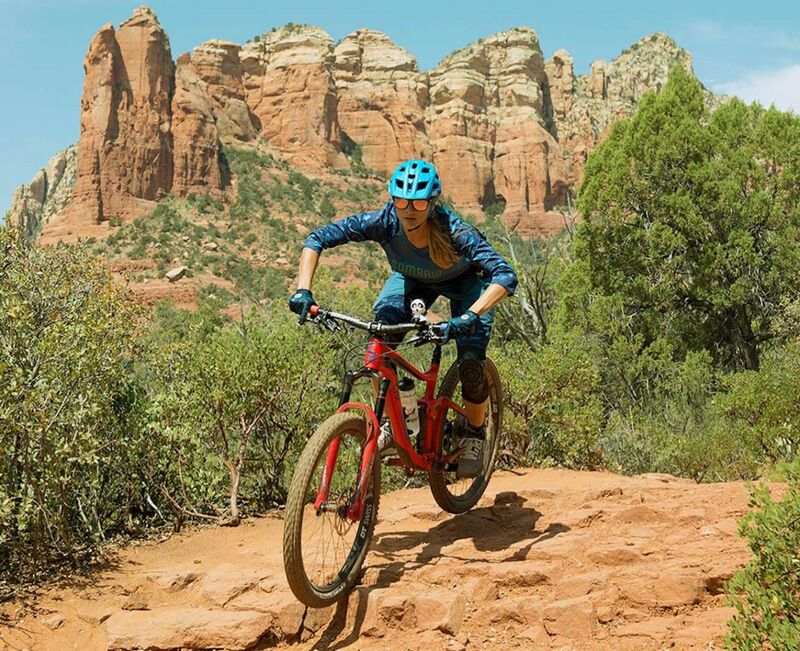 But her heart goes to her home of Sedona, AZ as her favorite place to ride on her Hail Advanced 0, aka “Big Red”. 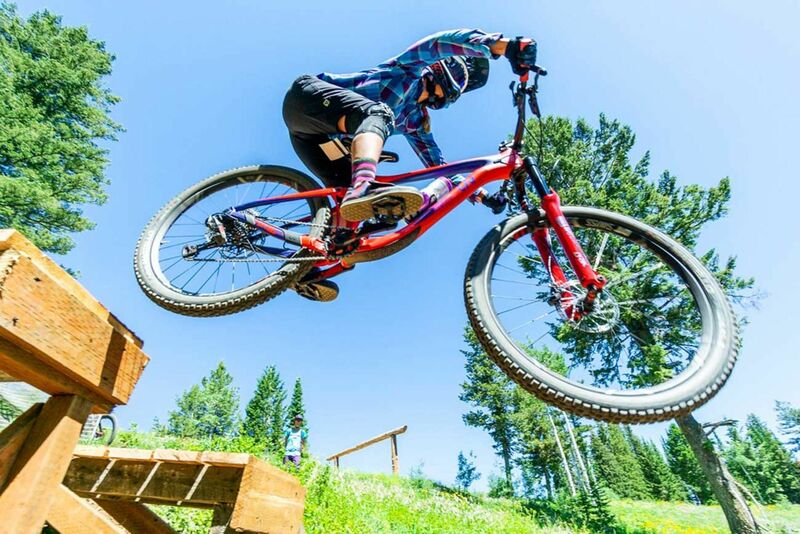 Sending a 4-foot drop! It took me 3 months of mental preparation to do it. It got to the point where I knew I had the skills but I had to get over the fear of doing it. And I did it! It was so scary but so rewarding. Getting my Yoga Teacher certification. Growing the Ladies AllRide brand and launching my Yoga for Mountain Bikers Program, MTByogi.com. I love the freedom it gives me, I love that it takes me outside, I love the friendships it brings me and I love how it always challenges me. Because Liv is a brand by Women, for Women, who cares about women's empowerment, on and off the bike. And because Liv bikes are rad! I love going back to my hometown of Aix-en-Provence, France (I was born and raised there). Italy is always great, anytime, anywhere. And I love South America as well. Dark chocolate, avocado, and... is wine a food? I love chasing Lindsey (Richter) and Meredith (Brandt) because I learn so much by watching them ride. And I love riding with my husband, Erik, because he has such a cool, playful riding style. ...doing yoga, skiing, reading, playing with my dogs or knitting. I just picked it up. It sounds blah but I find it so fun and meditative! Be able to sing and play the guitar at the same time. My Mom and my Grandfather taught me how to ride a bike. I still remember like it was yesterday when I thought my Mom was still holding onto my bike but then realized she had let go a while back and I was pedaling on my own. It gives me the chills writing about it right now! 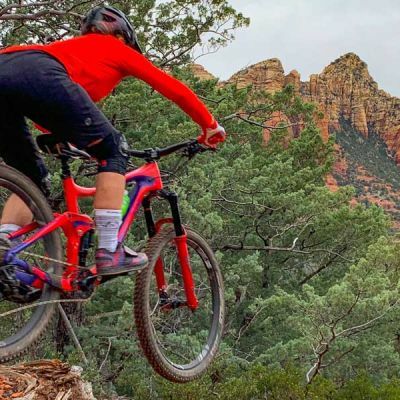 I have taken many new lady riders out on MTB trails and seeing the joy on their face when they accomplished something they thought was impossible is one of the best feelings I've experienced. I help a friend collect used MTB gear for lady riders in Nepal on an on-going basis. And whenever I travel with my bike, I try to connect and help out local lady riders.